During investor-state arbitrations, the rights and interests of local communities are often overlooked. A recent webinar discussed mechanisms that are getting the concerns of local communities on the table. Investors are increasingly bringing international arbitral claims against states relating to investments in natural resource-related projects. The investments giving rise to these claims often affect the rights and interests of local communities. 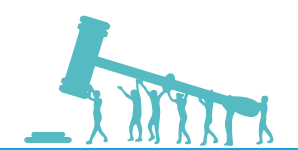 A recent webinar jointly hosted by IIED and the Columbia Center on Sustainable Investment (CSSI) looked at ways civil society groups are bringing community perspectives, human rights, and environmental issues to the attention of arbitral tribunals. Investor-state arbitration allows investors to bring a claim against states before an international arbitral tribunal when they consider that a government has violated an international investment treaty (IIT), a law or a contract. While the proceedings formally involve the disputing parties – the investor and state – the rights and interests of 'third parties' such as local communities are often at stake, yet overlooked. The investments being disputed can affect communities' access to land and natural resources, their human rights, or damage the environment on which these communities depend for their livelihoods. These issues are rarely brought forward by the disputing parties. However civil society organisations (CSOs) are taking action to get issues of affected communities recognised through 'amicus curiae submissions'. These submissions can allow those whose rights or interests are affected by the dispute to provide their perspective on it. Canadian investor, Bear Creek Mining Corporation, initiated an investor-state arbitration against Peru concerning a mining project. Some members of local communities had protested against the project, fearing it would pollute their water and harm their lands. Carlos Lopez, from the International Commission of Jurists (ICJ), explained to webinar participants the steps he and local Peruvian CSO, the Association of Human Rights and Environment of Puno (DHUMA) followed to make a submission to the international tribunal (PDF). The submission aimed to bring the communities' perspectives to the attention of the tribunal and encourage the tribunal to consider the company's social license to operate. Panellists Cristóbal Yugra Villanueva and Rodrigo Lauracio, from DHUMA, explained that there is always uncertainty around how a civil society submission might affect the tribunal's decision. After the submission, the tribunal required the parties to comment on these issues (PDF) and referred to them in its final decision (PDF). Lise Johnson, from CCSI, discussed how civil society submissions can serve different purposes. They are a useful tool for bringing community perspectives to light and can highlight overlooked facts that could be critical to the dispute's outcome. They can also assist the tribunal in interpreting IITs and national investment laws in light of international human rights and environmental norms. Parties to the dispute rarely bring these arguments to light. In the Bear Creek case, CCSI also requested the tribunal's permission to file another submission focusing on issues of law to bring perspectives not advanced by Peru or Bear Creek, including the role of human rights in interpreting the Canada-Peru IIT. Although the tribunal did not grant CSSI permission, by making the request and publishing the submission, CCSI drew public attention to these issues. As the Bear Creek case shows, tribunals may be especially willing to accept submissions from grassroots organisations such as DHUMA since they have first-hand knowledge of the facts. However, few have experience with filing submissions. Building an alliance with an expert organisation familiar with IITs and investor-state arbitration is critical. Filing a submission can be a challenging process: third parties must obtain the tribunal's permission, the standards and procedures are not always clear, access to case information is often restricted, and no support (including financial) is provided by arbitral institutions. In the case of Bear Creek, DHUMA was able to access arbitration documents and attend the hearing, but was not allowed to address the tribunal or the parties, and the submission did not have a substantial impact on the tribunal's ultimate decision. There is growing debate on how to reform IITs and investor-state arbitration. Those with interest or rights at stake in a dispute, including local communities, must be able to intervene in a meaningful and effective way, beyond making submissions as third parties. IITs can themselves help to promote or clarify the human rights, environmental, and social standards applicable to investors by, for example, setting out investors' obligations to respect specific standards. While the submissions can play a role in bringing community perspectives to light and articulating significant issues that may not have otherwise been addressed by the disputing parties, the process of filing civil society submissions can be challenging and there is a need for reform. As the discussion regarding reform of IITs continues, greater effort must be made to amplify the voices and protect the rights of local communities and others impacted by investor-state arbitrations. For instance, the European Union's proposal for a multilateral investment court, and the UNCITRAL Working Group on Investor-State Dispute Settlement Reform needs to consider how to integrate community perspectives in any reformed model. Thierry Berger (thierry.berger@iied.org) is a qualified solicitor and IIED associate focusing on law and sustainable development. Jesse Coleman (jcoleman@law.columbia.edu) is a legal researcher for the Columbia Center on Sustainable Investment, focusing on investment law and policy, natural resources, and the intersection between human rights and sustainable development.